Many of the routine I’ve published on Autodesk-Apps will not appeal to “run of the mill” CAD users. I don’t find that bothersome, though, because they already have numerous developers vying for their attention. The users out at the fringe – working with AutoCAD in a way that has others telling them that they are using the wrong program – are more likely to see the value in my routines. You are the guys that I relate to. Of course, you are also the most difficult to predict “what the hell” it is that you are actually doing with AutoCAD – or anything else for that matter. Consequently, the end result of this tutorial may seem contrived. I tried to make the scenario somewhat general, for fringe dwellers anyway, but I doubt that the specifics would ever be generally useful. The purpose of the tutorial is to demonstrate some techniques leveraging raster image manipulation tools to produce a base image for my STSC_HeightMap routine; with the ultimate goal of creating a 3D surface that would be extremely difficult to produce any other way. 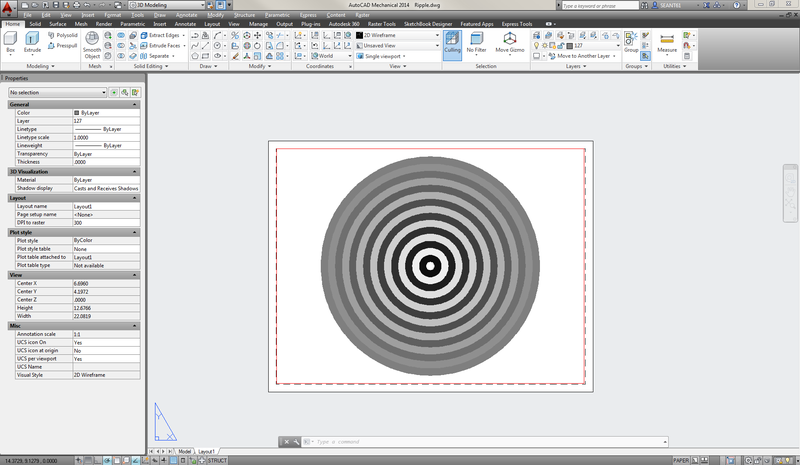 Create a reasonably accurate model of ripple interference. Using either a Publish to Web JPG/PNG or even just a PrintScreen key press I created an importable raster file ready for image manipulation. In my case I brought the image into Corel PhotoPaint. I suspect the other players in the image manipulation industry have similar functions. The first thing I did was to apply a Gaussian blur. 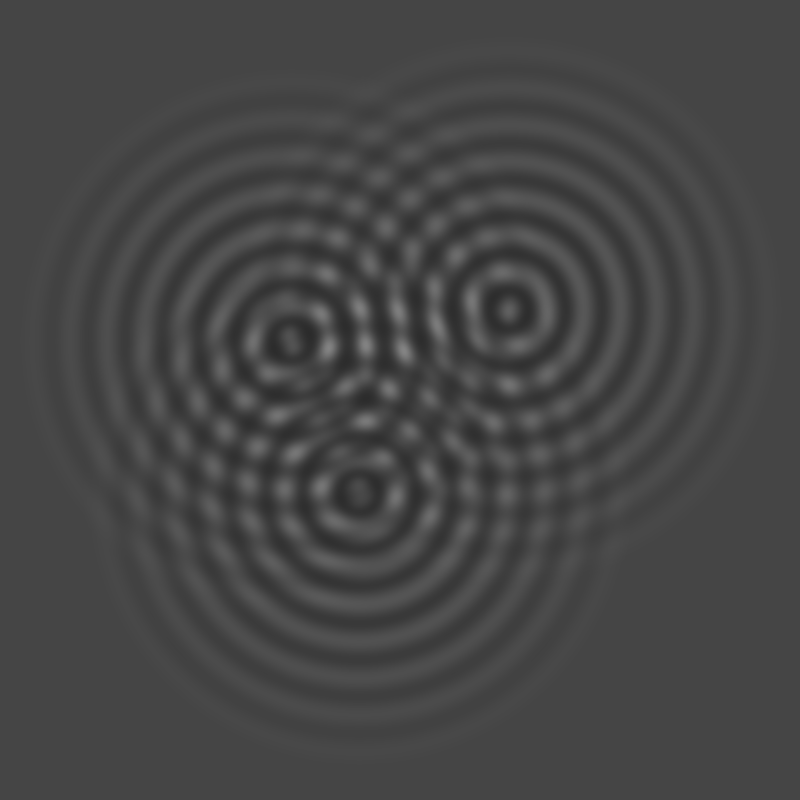 This softens the edges to produce a more Natural/Sinusoidal transition from one color to the next. A copy and Paste As Object operation gave me another exact copy aligned on top of the original. 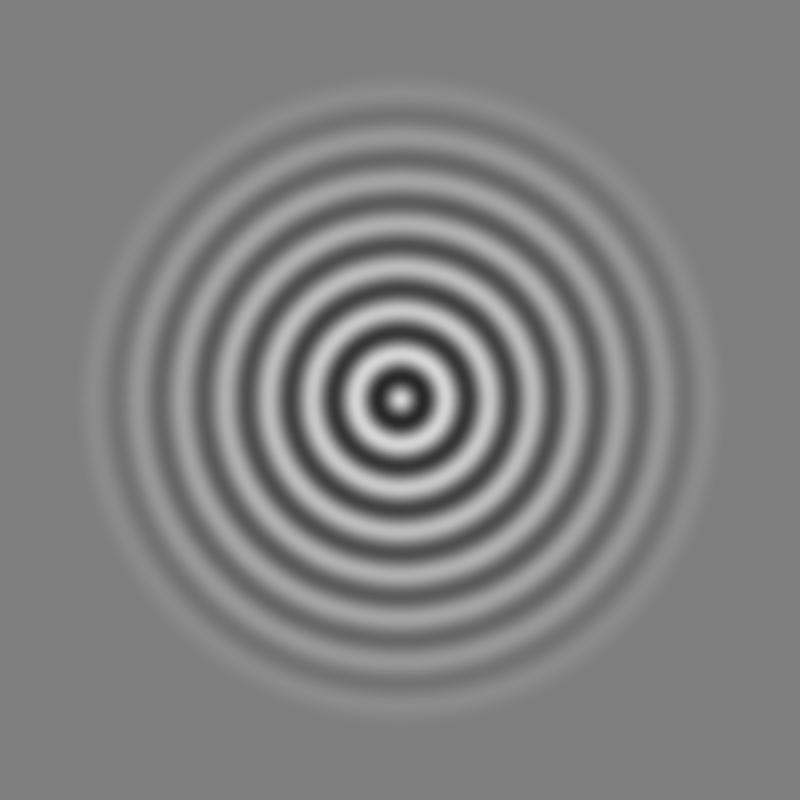 Eventually, I placed three copies into an arrangement that had some interesting interference patterns. I’m not sure what the surface is, or why I would have needed it, but the process for creating it was not too bad.